Sudoku - Hobsess - Get ready to start your new hobby! Sudoku puzzles are nine by nine squares where the user inserts numbers 1-9 in a box without repeating a number in a row or column. There are a variety of levels identified as easy, medium, hard and very hard or some variation. No mathematical computations are required. You just need to know how to count to 9. 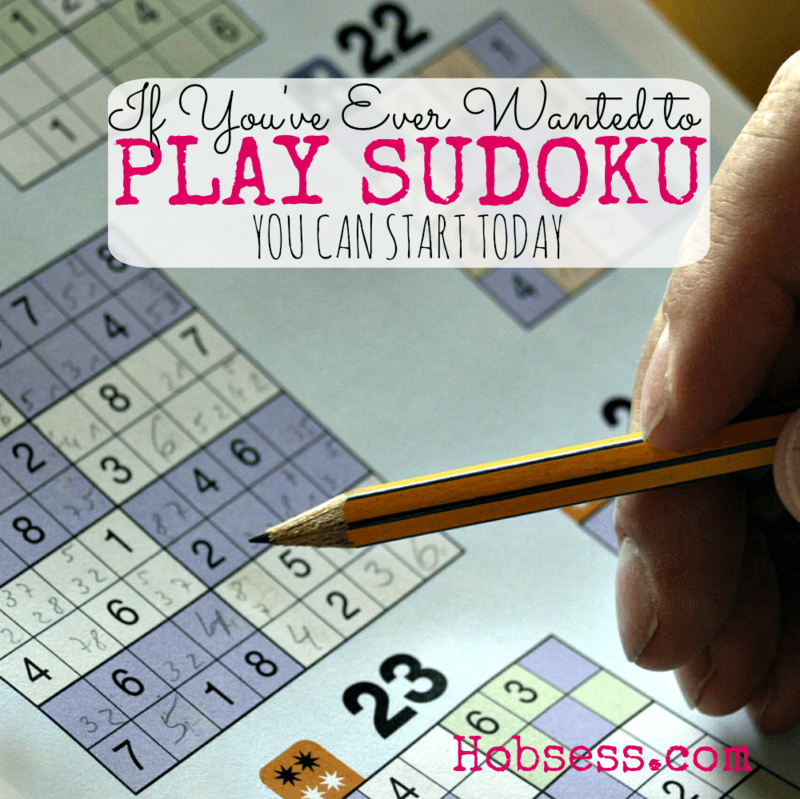 Learn tips for beginning Sudoku from Amy Jones. Are you just getting started or are you an expert? Get involved with others who share your interest and/or passion in sudoku. Join the World Puzzle Federation! Go to this Sudoku Board and click Follow. Follow Hobsess (Rev Crouse)’s board Sudoku on Pinterest.